Cat Auburn, who is currently working in the studio of celebrated British sculptor Antony Gormley, has been accepted into a PhD programme at Northumbria University in the UK to study with acclaimed Scottish artist, Christine Borland of Young British Artist fame. We are helping her raise funds for this by selling two significant works from her personal collection. 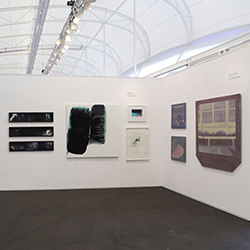 We we be presenting the work of three artists at the Auckland Art Fair this year. We have shown Roger Mortimer's paintings several times at the Auckland Art Fair, most recently in 2016 when the work totally sold out. This year he has produced four important new paintings, all 1070 x 1170 mm framed. 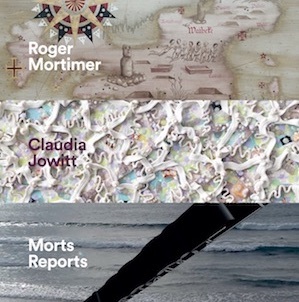 We will also be introuducing Morts Reports a series of digital works developed by Roger Mortimer under the pseudonym Morts Reports. Our third artist is Claudia Jowitt and we are delighted to build on the warm reception her work received at the Melbourne Art Fair last year. 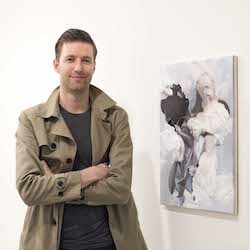 André Hemer is featured in the Autumn edition of Art New Zealand in an article written by Edward Hanfling which provides a great insight into, and overview of, Hemer's practice. Hanfling writes of Hemer's paintings: "They are abstract and unmistakably contemporary, but also have many of the hallmarks of what is loosely dubbed 'old master' painting: juicy paint handling, spellbinding illusion and a certain complexity of form, space and light." Scanning en plein air : André Hemer's Representations upon representations, Page 58 - 61, Art New Zealand, Number 169. At the same time, the Australian magazine Art Profile features Hemer and his work in a Q & A with Rose Vickers. It commences: "Coming to prominence on the cover of the landmark 2014 book, `100 Painters of Tomorrow, New Zealander André Hemer's pigment-loaded canvases are instantly recognisable. 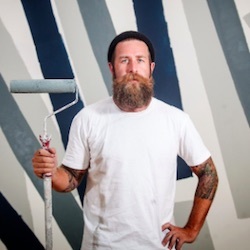 He spoke to Artist Profile about maintaining a studio practice, the death of Instagram, and his experienc as an antipodean artist living mostly in Europe. We are proud to say that we showed and sold the work selected for the book's cover at the 2013 Sydney Contemporary. "Up close we can navigate through layers of fossilised possibility and pattern, glimpses of embedded treasures, and undercurrents of the palest and, yes, the prettiest of colours. 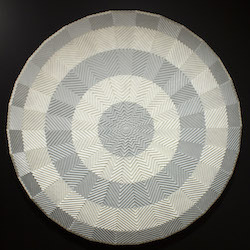 Armed with cake decorating tools to pipe, splurge and embellish, shamelessly paying tribute to 'women's work', and drawing strength from her Fijian Whakapapa, Claudia Jowitt is "quietly insistent" on rewriting the rules of painting". We currently have new works available from Claudia Jowitt in the gallery, and she will be exhibiting with us at Auckland Art Fair 2019. For more information please don't hesitate to contact us. Ruth Watson's work is the subject of Christchurch CoCA's first new catalogue since its reopening post earthquakes in 2016. Launched in January, the catalogue includes essays by Allan Smith, Josephine Berry, Rebecca Boswell and Bruce E. Phillips, alongside high quality images from from the CoCA exhibition and preceding iterations at Gus Fisher Gallery, and the Headlands Centre for the Arts, San Francisco. 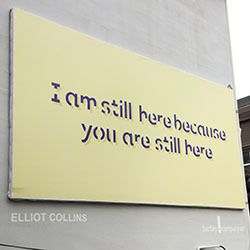 We are delighted to launch a new billboard by Elliot Collins which reinforces his new solo exhibition, We May Never Meet Again. The billboard plays with the multiple connotation of 'still' and the idea of bearing witness. It uses the typeface Sans Forgetica, developed by RMIT to help with memory retention. Congratulations to Kerry Ann Lee who has produced a new commission for Te Papa, to accompany the Terracotta Warriors exhibition. 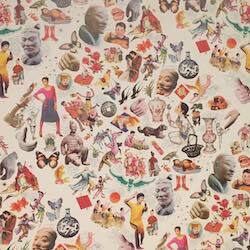 Pictured is detail from the wallpaper montage Lee has produced for her ‘dreamscape transit lounge’. 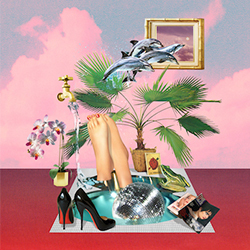 We have a great range of Kerry Ann Lee's distinctive collage works available to view here. 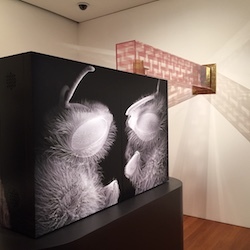 Anne Noble has created a major installation, including a live beehive housed in a beautifully designed and crafted 21st century ‘cabinet of wonder’, for the 9th Asia Pacific Triennial of Contemporary Art, at the Gallery of Modern Art in Brisbane. 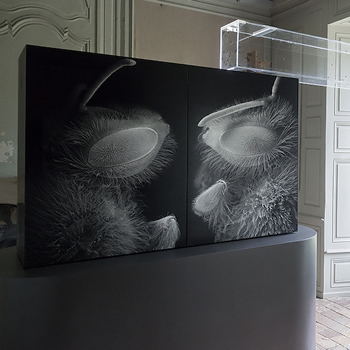 Noble’s bee installation is one of the highlights of the large exhibition which evocatively speaks to the power and poetry of art to act in the world. 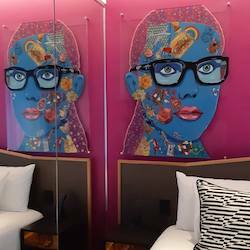 Congratulations to Sam Mitchell, who has artwork featured in two of the new art rooms on the 4th floor of the QT Museum Hotel in Wellington. 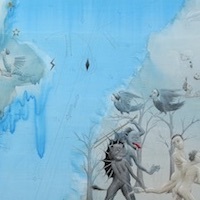 We have a good selection of work by Sam in our gallery stockroom available to view here. Please come in or let us know if you would like more information about available artwork. Danica Chappell has a solo exhibition Thickness of Time at Heide in Melbourne. 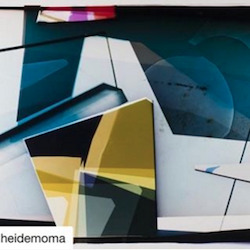 Danica is presenting a three dimensional installation where her abstract cameraless photographic images, made in the darkroom, push photography to the boundary of painting. To accompany the exibition, curator Sue Cramer has produced a beautiful catalogue which can be viewed here. Cat Auburn's exhibition, 'The Horses Stayed Behind', is now showing at Tauranga Art Gallery from the 29th September until the 2nd December 2018. Christchurch's Justice and Emergency Precinct Building, featuring work by Lonnie Hutchinson, announced Ngā Aho award finalist. Congratulations to the Creative Directors, Design Director, and team members involved with the Justice and Emergency Services Precinct Christchurch, announced as a finalist in the Ngā Aho award. 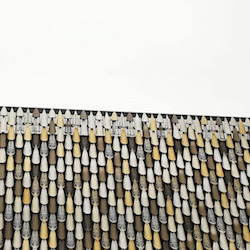 Ngai Tahu Artist, Lonnie Hutchinson, created a 36m metre long aluminium kākahu (traditional feather cloak) to clad the facade of the Precinct Building. Congratulations to Brett Graham who received First Runner-up Award in this year's Wallace Art Awards. 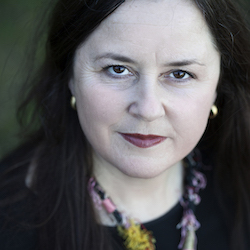 Congratulations also to Peata Larkin who wins a residency in Switzerland. 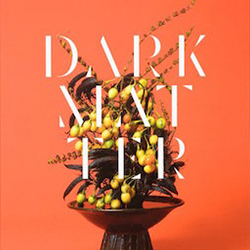 Congratulations to all involved in the production of Ann Shelton: Dark Matter which was awarded the Best Large Exhibition Catalogue Prize at the recent 2017 Art Association of Australia and New Zealand Awards.Published to coincide with Ann's Dark Matter exhibition, the book traces the 20 year career of one of New Zealand's leading photographers. Bartley + Company Art presented a tightly curated exhibition of four women artists: represented artists Helen Calder, Lonnie Hutchinson, Claudia Jowitt and Melbourne-based guest artist Danica Chappell who has shown with us previously. The work of these artists investigates, critiques and remakes ‘abstraction’ to inclusively engage and embrace cultural diversity. The work of all four is underpinned by a belief in the power of abstract form to speak to the world of ideas across cultures and world views. 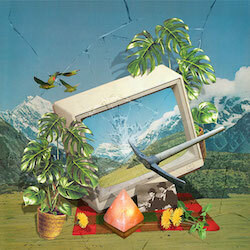 These artists are interested in challenging traditional precepts of purity, truth to medium and cultural hierarchies. 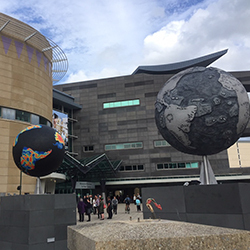 The Sculpture Trust unveiled its sixth temporary sculpture project on the plinths outside Te Papa last week. 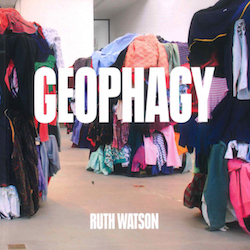 Ruth Watson's commission was selected from 30 applications. Each of the four globes provides a reinterpretation of Earth or Mars based on early or unusual maps of the planets. Ruth will be exhibiting at Bartley + Company Art in October. 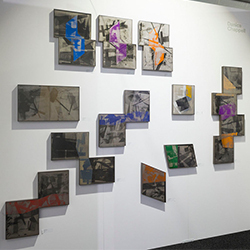 Bartley + Company Art was proud to present the work of Marie Le Lievre, Hamish Coleman and Catherine Clayton-Smith last week at the Auckland Art Fair. All artists were very well received and it was a pleasure to introduce them and their work to Art Fair visitors. We also exhibited a small display of work from the stock room including work from Ann Shelton, Kate Woods, Joyce Campbell, Mary-Louise Browne, Peter Trevelyan, Roger Mortimer and Lonnie Hutchinson. Pip Adam’s book The New Animals featuring cover artwork by gallery artist Kerry Ann Lee, has just won the prestigious Acorn Foundation Fiction Prize in the 2018 Ockham New Zealand National Book Awards. Congratulations to Pip Adam, Kerry Ann Lee and everyone involved with the publication. If you’d like to enquire about Kerry Ann’s work, A Spell For Earthly Human Love, please don’t hesitate to contact us. Peter Tevelyan's work Pendentive was included in the Islamic Arts Festival in Shardijah throughout December and January. The work references the dome, "that most utopic and perfect of architectures, and specifically forms the structure that holds the perfection of the dome aloft". Like all his work it's rendered in the myriad fine lines of the 0.5mm pencil leads. 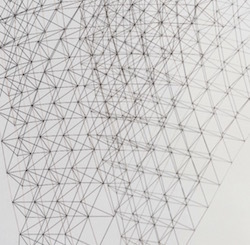 Intricate, precise and fragile, it is a delicate drawing that precariously occupies space. 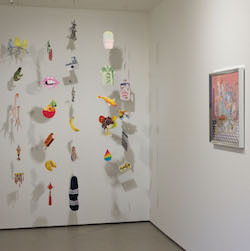 Reviewing Kerry Ann Lee's solo exhibition Fruits in the Backwater at Pataka Art Museum, Amy Weng writes that the exhibition is filled with seductive imagery, "oscillating between a globalised vision of the Long White Cloud and an intimate knowledge of it’s nuance." "It’s this restlessness in our nation’s psyche that Fruits in the Backwater speaks to – our endless speculation and comparisons with what lies beyond, our fear of missing out and our reluctant isolation... Here is where migratory currents converge, where cultural detritus accumulates like so much flotsam on the shores. This intermingling of foreign bodies enriches the ground beneath us, cultivating difference as a vital resource." Elliot Collins and Bridget Reweti have been named amongst artists chosen to complete 3 month Asia New Zealand Foundation residencies in 2018. Elliot Collins will complete his residency at Kriti Gallery, Varanasi, India and will be researching and documenting memory traces and marks of palimpsest that endure in Varanasi, as well as stories and histories of the local area. Collins will involve artisans and makers in the local community to produce work that draws from the dramatic and stimulating environment of this unique city. Bridget Reweti will complete her residency at Cemeti - Institute of Art and Society, Yogyakarta, Indonesia and is looking forward to engaging with the vibrant art scene there. 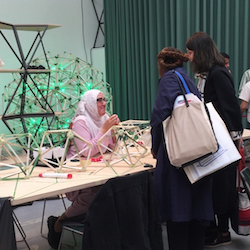 She is interested in continuing her collaborative approach to art making by exploring gift economies, rates of exchange and notions of cultural obligation. 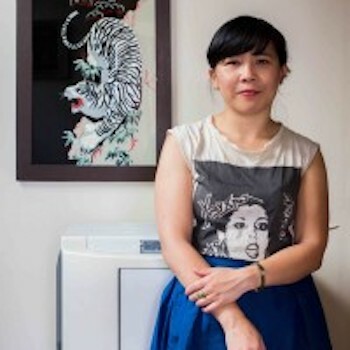 Click here to read more about the Asia New Zealand Foundation residencies. 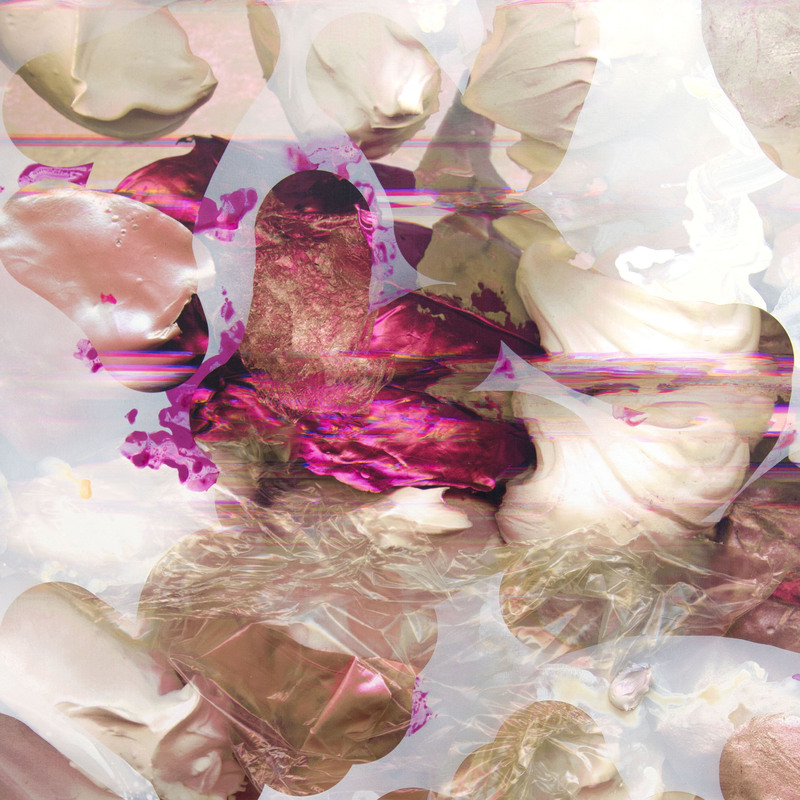 Ann Shelton's survey exhibtion, Dark Matter, organised by Auckland Art Gallery and Curated by Dr. Zara Stanhope will open at Christchurch Art Gallery on 16 December, 2017. The exhibition will continue until 15 April, 2018. 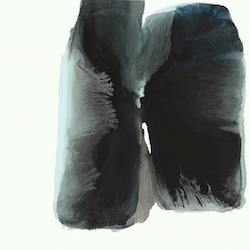 Ann's full catalogue of artwork, including her most recent series Jane Says, is available through Bartley + Company Art. For more information please click here to visit the Christchurch Art Gallery website or view Ann's Jane Says series on our website. Listed as one of five artists to watch in HOME magazine. A cover and article in Takahe Magazine due out in December. A solo exhibtion from Marie Le Lievre will be our frist show in 2018, opening 7 February. Art New Zealand's Summer issue in bookshops now features a five page article about Roger Mortimer's practice by Sam Melser. "Mortimer’s poetics reflect the idea that there is a history that lies beneath the surface of the land, a rich tapestry of neglected narratives. It is less a story with a beginning, middle and an end -respecting chronological order- than a poem in which linearity is haywire. His subjects are floating and flying, they are running and scampering tirelessly in a world of self-reflection where the scene of contemporary art serves as a refuge for existential contemplation." We currently have new work by Roger Mortimer available in the gallery, and he will be exhibiting with us in March, please contact us if you would like any more information. "Rather than make things apparent, Coleman mistily submerges representation so that it becomes a quiet intimate whisper between moist lips. Time is changed reality becomes ghostly and dreamlike, images reverberate like a drum. There is an intimacy. It’s as if sometimes the impressions of bodies have been made into the canvas." 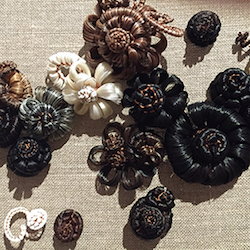 Kerry Ann Lee's exhibition takes centre stage in Pataka's new suite of exhibitions. Pataka Director Reuben Friend says Kerry Ann's digital collages presented as lightboxes and mobiles "create coded messages about nationhood and globalisation, while also allowing the viewer to interpret this graphic lexicon through their own subject lens." This "new series of artworks dissects and celebrates relationships - relationships between objects and people, people and politics, politics and culture. Of course relationships are also dependant on perspective, and this series of works explores these dynamics in relation to globalisation and Aotearoa New Zealand cultural politics." 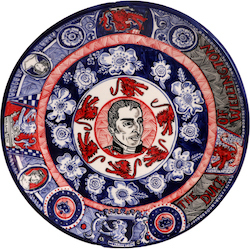 Mark Amery discusses Ruth Thomas-Edmond's artworks in the gallery and on Tory Street. "What I love with these smaller works is their sense of stature; a community of many small pieces together rising, animated as if - like the sculptor Giacometti's rugged, eroded figures - about to walk, or at the very least face the winds of change." Mark Amery writes about Ruth Thomas-Edmond's sculptures that we are currently exhibiting in the gallery. The exhibition continues until Saturday Oct 28. Read the full article "Alternative Architecture" on The Big Idea. Brett Graham's wotk Pioneer is on show at the Mckenzie Art Gallery in Regina Canada until late January. 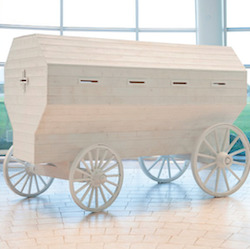 The sculpture, referencing a prairie grain wagon, was inspired by Brett's reading of Canadian history and in particular his reading of James Daschuk’s book Clearing the Plains which traces the devastating impact of colonisation on the local indigenous people. 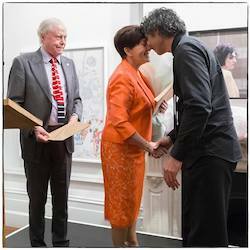 In a wonderfully generous gesture, Brett has donated the work to the McKenzie Art Gallery. This will be the second major work of Brett's to be included in a public gallery collection in Canada. Several years ago the National Gallery of Canada acquired the collaborative work Aniwaniwa that he made with moving image artist Rachael Rakena forthe 2009 Venice Biennale. The five yearly German art event, documenta, has created an outpost in Athens this year and, despite some criticism of curator Adam Szymczyk, it seems like an inspired move to me. With relations between Germany and Greece somewhat strained, the move makes a strong statement about how art can operate in the world and address issues from an alternative, expansive and less literal perspective. André Hemer has been busy of late, with his exhibition Small Paintings IRL at Bartley + Company Art and collaborating with Te Uru curator Andrew Clifford on the exhibition Watching Windows, on show at Te Uru Waitakere Contemporary Gallery until 23 July 2017. 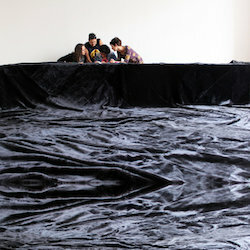 A biennale — whether Venice or Sydney — is hard work: intense, demanding, stimulating, expansive, exciting and also fun. With so much to look at and not enough time to give everything enough time, it’s a matter of allowing some works to seduce you and ignoring others. Here’s some of what caught my eye. Online publication Contemporary HUM are continuing their fantastic work documenting projects by New Zealand artists abroad with a piece by Chloe Barker on Cat Auburn’s moving image work ‘Preparing the Ground’, developed by Cat during an Graduate Artist residency at Tyneside Cinema in 2016. Bridget Reweti, who has work in Post-landscape currently showing in the gallery, will be exhibiting at documenta 14 in Kassell as part of the Mata Aho Collective. 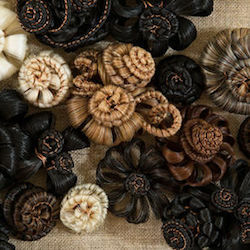 Mata Aho Collective is a collaboration between four Māori women who produce large scale fiber based works, with a single collective authorship, commenting on the complexity of Māori lives. 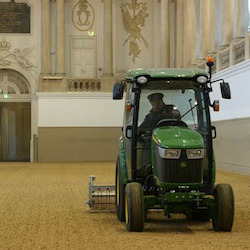 Read more about the first ever inclusion of New Zealand artists in documenta. 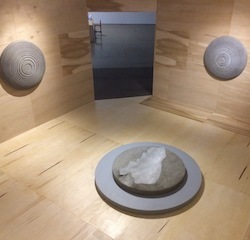 Brett Graham is included in the inaugural Honolulu Biennial showcasing “the diversity of ideas, art, and culture from the people who live today throughout the places connected by the Pacific Ocean.” Target Island, a major new work, produced for the event comprises four 1300m diameter fibreglass reinforced concrete discs. "Lee’s surreal, comic juxtapositions of objects succeed because they are neither just ironic, or sentimental but rather stand in for the mysteries of human love and connection. 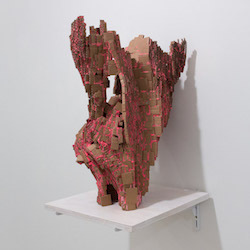 The work feels at once global and deeply personal." 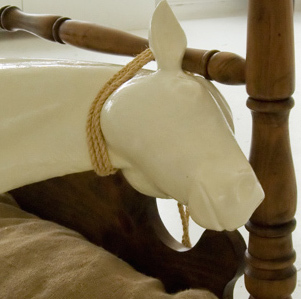 Cat Auburn’s The Horses Stayed Behind is now showing at Te Manawa, Palmerston North. The highly evocative work was a result of Cat’s time as the Sarjeant Gallery’s artist-in-residence at Tylee Cottage in Whanganui and serves as a memorial to the ten thousand horses that left New Zealand for the front lines in World War One (with only four returning). 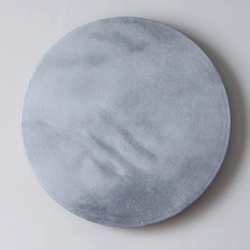 Ocula correspondents Casey Carsel and Laura Thompson talk to Ann Shelton on the occasion of her current survey exhibition Dark Matter, at Auckland Art Gallery Toi o Tāmaki (until 17 April 2017) which includes her most recent series jane says, shown at Bartley + Company Art. 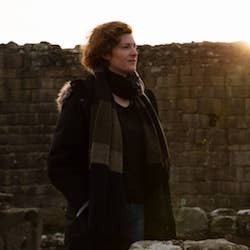 Over her 20-year career, Ann has explored the construction of narratives that surround social, political and historical contexts. 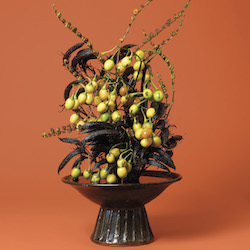 In jane says, these themes continue to be examined through photographs of rich botanical arrangements based around Ann's research into the historical uses of plants for both fertility and birth control. In talking about the images Ann discusses how the work in jane says and earlier series such as Public Places are "investigating the edges of fact and fiction through my interest in urban myth and how stories come to be read as real through their repetition across time." You can read the full interview here. Roger Mortimer's survey exhibition Dilemma Hill has opened at Pātaka Art + Museum in Porirua and runs until 21 May 2017. 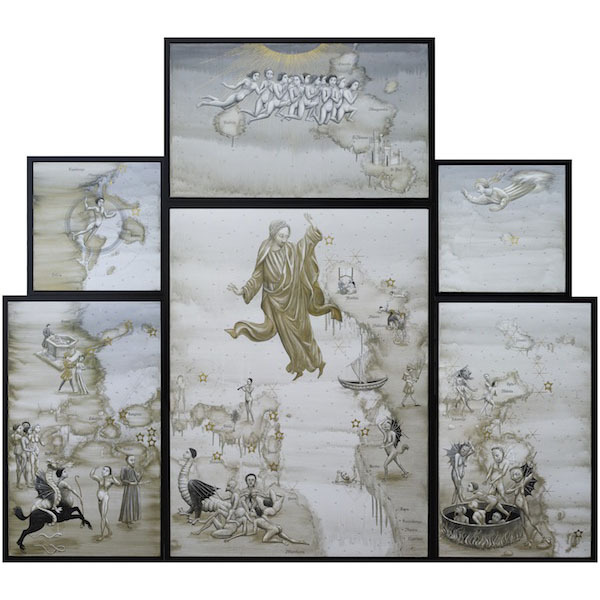 The exhibition, which will also show at the Gus Fisher Gallery in Auckland from July – September, explores the last 16 years of Roger’s practice from his early calligraphic works based on bills, through his ceramics to his cartographic paintings, including his most recent investigations of medieval depicitions of heaven and hell and based on illustrated manuscripts of Dante’s Divine Comedy. Join us in the gallery on Saturday 18 March, 4pm, to hear Kerry Ann Lee in conversation with the Director of Pātaka Art + Museum, Reuben Friend. 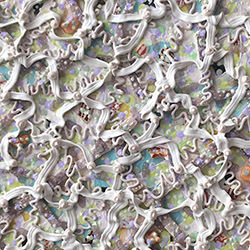 Kerry Ann Lee will discuss her practice in relation to the new body of work in In Praise of Weird Wonders and look towards what might be in store as she prepares for a solo exhibition at Pātaka, opening in August. 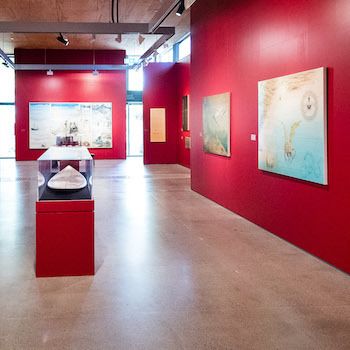 Carving Water Painting Voice, a collaboration between artist Kazu Nakagawa and composer Helen Bowater, is currently on show at headland Sculpture on the Gulf until 19 February. 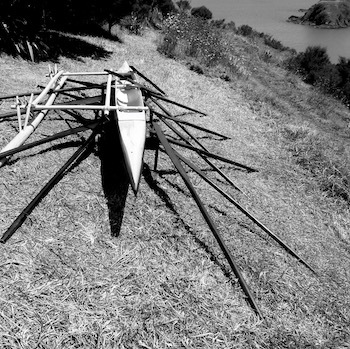 The visual/sonic installation explores voyaging and migration through the restoration of a Nuiean canoe damaged in transit to Waiheke Island a decade ago and recorded stories and songs of more than 50 migrants in their native tongues. Woven into a sonic ocean, a new medium for the canoe’s ongoing voyages, the narrative of this work is both poignant and timely. You can read more about the work’s story and the story of those involved on the website. 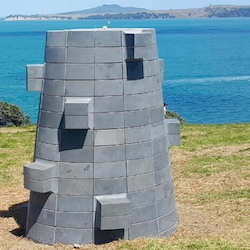 This large basalt/blue stone work by Brett Graham is called Te Tumu. While the term is literally a stump or foundation in Maori, it is often used to describe a strong leader or ‘pillar’ of the community. In the context of Waiheke it is also reminiscent of a tuahu or stone altar. Such tuahu were built by the first Polynesian seafarers to make a claim on the land or to offer thanks to the gods for safe passage. It is a reminder of the original occupants of the islands and a homage to Ngāti Paoa. headland Sculpture on the Gulf runs until 19 February. An exhibition covering the past 20 years of 2014 Wallace Art Award winner Roger Mortimer opens at Pātaka Art + Museum in Porirua in late February and travels to the Gus Fisher Gallery in Auckland in July. A catalogue, with an essay by Gus Fisher director Linda Tyler, will accompany the show. The survey draws its title Dilemma Hill from a painting (now in a private collection) from Roger's most recent exhibition. Cat Auburn has a new moving image work Preparing the Ground made while she was Tyneside Cinema Graduate Artist in Residence 2016 showing in Newcastle upon Tyne until 12 March. Another work Ask the Fellows who Cut the Hay, made with another expat New Zealand artist Estella Castle and curator Sarah McClintock opens at the Suter Gallery in Nelson later in February. In 2016, Anne Noble installed a major multi-media exhibition in a 12th century abbey near the French town of Bourge. 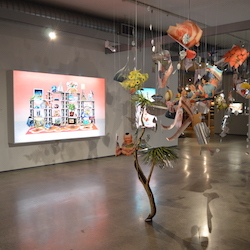 Pauline Autet, a New Zealander living in Paris, has published a comprehensive review of the exhibition on Contemporary Hum, a new online platform she established to generate critical discussion and provide great visibility of New Zealand visual arts presented overseas. 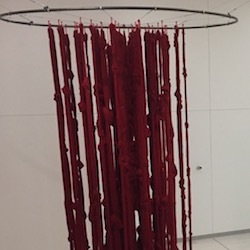 Dark Matter, Auckland Art Gallery's beautifully hung survey of 20 years of Ann Shelton's practice includes all her major bodies of work. 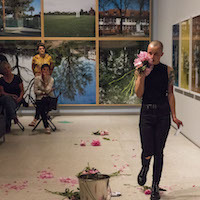 A performance produced to accompany the new body of work - jane says - included in the show is being staged at regular intervals - for dates contact Auckland Art Gallery. 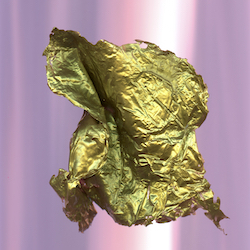 Read about André Hemer's recent work in an article by Jodie Dalgleish published on contemporaryhum.com. Please contact us if you would like to go on the preview list for his April exhibition in the gallery.